Vincent Lionetti is the membership executive in Sarasota and Bradenton. He joined Freedom Boat Club in April 2014 and thoroughly enjoys connecting prospective and new members with the fun boating lifestyle. After a lifetime of boating, he was excited to put his enthusiasm to work in this full-time marine industry position. When Vince isn’t working with new members of the Freedom Boat Club family, you can likely catch him boating with his own family including wife Tiffany and son Gavin, or traveling the backroads on his Harley-Davidson Fatboy. Zachary "Zack" Collums is our Club Manager for both busy Sarasota Marina Jack and Palmer Ranch Hidden Harbor locations. Zack joined Freedom Boat Club in April, 2014 and has worked at several dock locations and at the corporate marine center. Zack is an avid boater who has been enjoying his favorite pastime since the age of seven when his family moved to Sarasota. A local, Zack attended high school at Cardinal Mooney where he played baseball and helped the team accumulate three district and a regional title. When he’s not on the job, he spends his time fishing, hunting, diving, and participating in many other outdoor activities. He referees high school football with the Gulf Coast Football Officials Association and is an active volunteer with the local Special Olympics. “My main goal with Freedom Boat Club is to do anything possible to simplify the boating process for our members, while keeping it safe and hassle free,” says Zack. John Giglio is President and CEO of Freedom Boat Club, the world’s largest and oldest private boating club in the nation now celebrating its 29th anniversary. With 20,000+ members in 165+ locations in the US and Canada and sporting a fleet of more than 2000+ boats, Freedom Boat Club offers an attractive alternative to boat ownership and delivers memories that last a lifetime. A business graduate of Florida Southern College with an MBA from the University of South Florida, John was part owner of a 20-chain auto body repair firm prior to joining Freedom Boat Club in 2004 as operations manager for its corporate-owned stores, a post he held for three years. He was promoted to sales manager, and within six months, was named director of sales and operations. He and his former partner purchased the company in 2011 and John was named president of Freedom Boat Club LLC. Just a little more than a year later, in May 2012, he bought out his partner and became president and CEO, with direct responsibility for all franchise and corporate operations. Freedom Boat Club is an ongoing, All-American success story. Since John assumed the helm, the company has doubled its growth since 2012 and has continued to receive multiple recognitions both within and outside the marine industry. 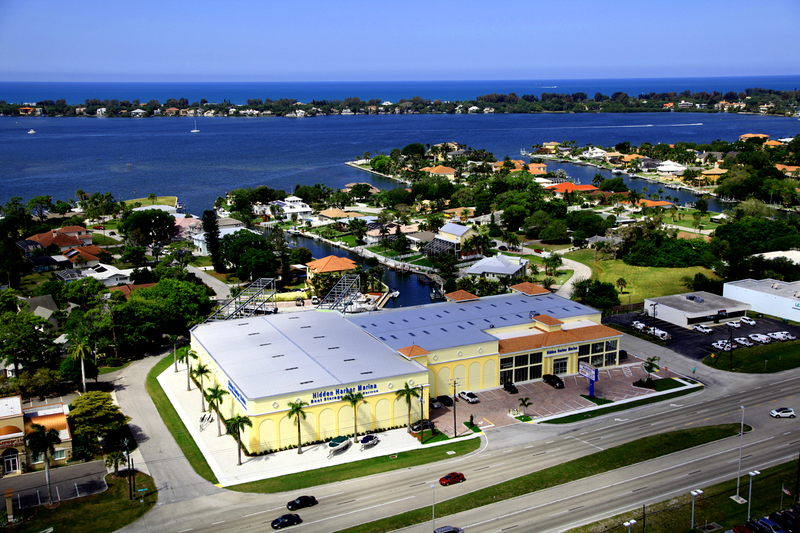 It has been named to the Entrepreneur’s Magazine “Top 500 Franchisees” for the past five years; the Gulf Coast Business Review’s “Top 500 Companies;” and Inc. Magazine’s “Top 5000 Fastest Growing Companies.” Boating Industry Magazine named John to its roster of “Top 16 Movers and Shakers” in 2013. On a regional basis, the Venice Gondolier and Sun named John to its “Top 40 Under 40 Business Professionals,” while Freedom Boat Club is a multi-year winner of its “Best Boating Club” award. Leading boat manufacturer Nautic Global Group has named Freedom Boating Club to its Silver, Gold and Platinum Circle for outstanding sales performance. Joe Bettley is an integral part of the Freedom Boat Club corporate team. As Chief Financial Officer, Joe actively leads the back office disciplines overseeing accounting and finance, technology and human resources. He is also actively involved in all strategic planning initiatives for Freedom Boat Club. Joe earned his BS in Business Administration and his Master of Accountancy from University of South Florida and is also a licensed CPA. He has earned the CITP – Certified Information Technology Professional, and CGMA – Chartered Global Management Accountant, distinctions. Prior to joining Freedom Boat Club, Joe owned his own accounting practice and highly successful business consultancy. His goal is to help grow the Freedom Boat Club brand in size, profitability, sustainability and through technology. Barry Slade is Vice President of Business Development for Freedom Boat Club and brings a wealth of senior level experience to this position. He is directly responsible for expanding the Freedom Boat Club franchise network internationally, a task he is well suited to handle after directing and managing global sales and marketing activities for several leading boat brands. Barry also is point on new marina acquisition initiatives, drawing from previous experience as COO for a marine management company. Another major responsibility includes serving as liaison to the growing number of marine manufacturers and select vendors as part of Freedom Boat Club’s continued product expansion initiatives. Barry has worked professionally in the marine industry since 1989 in several executive capacities. In addition, he is an avid boating enthusiast and a major fan of the boat club concept, having been an active boat club member prior to joining the Freedom Boat Club team. Louis Chemi is Freedom Boat Club’s Chief Operating Officer of Freedom Franchise Systems and Freedom Outdoor Adventures. In this capacity, Louis works closely with the corporate leadership team to lead Freedom Boat Club globally. His focus will be on international market expansion, while overseeing domestic franchise growth and operations. Additionally, Louis will be launching a new recreational division that will replicate the proven Freedom Boat Club model into other industries, including the RV sector - Freedom RVing! Louis, who presently serves on the boards of the American Sportfishing Association and Grow Boating, brings global marine expertise from more than two decades at senior management posts for leading industry manufacturers, most recently including a 10-year stint at Navico, Inc.
Mike Pratt is Director of Fleet Operations with responsibility for the corporate marine center, overseeing all the in-house technicians and service work activities. Mike brings more than 20 years of marine industry experience to Freedom Boat Club, having previously headed up service for one of the dealership facilities of the largest retailer in North America. Mike joined Freedom Boat Club in February 2012 and has as his goal to deliver a superb fleet of boats for members to enjoy. He earned his degree from Florida Southern College. Nic Thomas joined the Freedom Boat Club team in November of 2014 and is currently the Director of Dock Operations. It's his goal to ensure that every member has their expectations met, all while providing a friendly and welcoming atmosphere. Before starting with FBC, Nic received his Bachelors and Masters degrees with concentrations in Biology, Political Science and Medical Sciences. He also earned his USCG Captain's License for an OUPV. In his free time, Nic enjoys water skiing, wakeboarding, Scuba diving, surfing, and running marathons. He also loves to hike, mountain bike, and cruise on his motorcycle in the beautiful outdoors. John Combes is the Director of Dock Operations for the Southern Freedom Boat Club locations (Punta Gorda to Marco Island). His mission is to work with the location dock staff teams to ensure they provide a simple maintenance-free and memorable boating experience for every member. This is accomplished through hiring, training, listening to and assisting the local Club Manager and Dock Masters on a daily basis. Prior to his current position, John served as Club Manager at Freedom Boat Club’s Pine Island and Punta Gorda Laishley Park Marina locations.John has experience leading sales, operations, marketing and administrative teams at several Fortune 500 companies. &nbsp;John and his wife Nancy are avid boaters and sailors. They have sailed to the Abacos and the Florida Keys and enjoy exploring all of the barrier Islands in Southwest Florida. John has a USCG OUPV Captain's license. John is from Detroit, Michigan and has lived in Florida since 1990. Captain Stephen Jacobs is Director of Training/Instructor for Freedom Boat Club. He is one of the oldest associates in the FBC corporate fold, having first affiliated with the organization in 2002, and becoming a full-time employee in 2004. Steve is responsible for both the corporate and franchise member training programs including the development of all customized training materials and ongoing delivery. Steve holds a 50-ton United States Coast Guard Masters license, with towing and radar endorsements. He is also a certified Recreational Powerboating Association instructor. Prior to joining Freedom Boat Club, Steve spent 25 years as a boat owner in the San Francisco Bay area. He enjoys all types of boating activities … powerboating, sailing and most recently, has become a stand-up paddleboarding aficionado. Randy Underwood is Freedom Boat Club’s Corporate Membership Sales Manager. His first and foremost responsibility is to train and support his team of membership executives throughout the Southwest Florida region. He is responsible to provide the tools needed for the sales team to perform their job. He is also intimately involved in creating new systems and programs to facilitate a better experience for the sales team. Randy is responsible for ongoing sales training for both the internal corporate team, as well as supporting franchise sales groups however needed. Prior to his promotion, Randy served in the trenches as an award-winning corporate membership executive himself, having won the “Membership Executive of the Year” five consecutive years. This hands-on experience working in the field allows Randy to bring a real world perspective to the position. Gabrielle “Gabby” Hoover is our Corporate Director of Communications responsible for member and franchise newsletters, as well as serving as the assistant to Freedom Boat Club President and CEO John Giglio. Gabby previously managed special events for the 15 corporate-owned clubs as well as establishing community partnership programs. Today, she is the direct communications link to the franchise network and is actively engaged in a variety of support programs and initiatives. Jim Cull is Business Development Coordinator, part of the corporate sales and marketing team. Jim focuses on developing and implementing Affinity Marketing Programs (AMP) for the company’s corporate and franchise organizations. Jim has successfully launched Freedom Boat Club’s corporate AMP for realtors, followed by a program exclusively for members of the District 22 United States Power Squadron. Jim is currently launching a new First Responders and Military Affinity program. Martha “Marti” Wagley serves as Training Manager for Freedom Boat Club’s corporate clubs throughout Southwest Florida. In this capacity, Marti is responsible for recruitment and training of 25+ trainers, a job she is well qualified to manage. Marti has been with Freedom Boat Club since 2007 and in her tenure, has trained somewhere in the neighborhood of 1000 members. With a 100-ton US Coast Guard Masters License and years of boating experience under her belt, Marty brings plenty of experience and a boat load of enthusiasm to her job. On a personal front, Marti is a passionate scuba diver and a PADI certified master diver/instructor who has managed shops and trained divers in exotic ports of call including Maui and several venues throughout the Caribbean. She’s also a former body builder and motorcycle owner/enthusiast. Her favorite role, however, is spending time with her daughter and grandkids, including the latest family production … her first great grandson! As an integral member of the Corporate Marketing Team, Maurice Amaya is responsible for the development of targeted new multicultural markets for the nation’s largest and oldest boat club franchisor. Maurice serves as the direct sales and marketing liaison to the multi-cultural communities within the SW Florida and Tampa markets and is responsible for strategic planning as well as multicultural engagement and education, involving all aspects of sales and marketing activities. Prior to joining Freedom Boat Club where he served a stint initially as a membership executive, Maurice was employed as a successful account executive for both Verizon and Comcast Cable Communications. He also worked previously in key posts in Central America, including general manager and operations manager for DirecTV Latin America, as well as a regional marketing and sales manager for a leading satellite technology firm and a major cellular and internet service provider. American-educated with a degree in marketing and minor in international business, Maurice is thrilled to put his sales and marketing experience to work in promoting the boating lifestyle to new markets.